While sauntering up and down the Fort Bay Channel in Boston, while searching for a huge cup of glorious coffee, I came across a bit of commercial public history, the Boston Tea Party, Ships and Museum. It seemed worthwhile to share some photos and provide a bit of analysis and description, at least of the aesthetics. You’ll notice the superstructure of this twenty-first century Tea Party is built on a foundation of modern concrete and modern steel pilings, and this supports a Disney-like façade that shoves visitors through one particular interpretation of the past. The Tea Party seems to be floating just above the Fort Bay Channel, this perhaps a metaphor — visitors can pay some money to float in a romanticized delusion of the past? 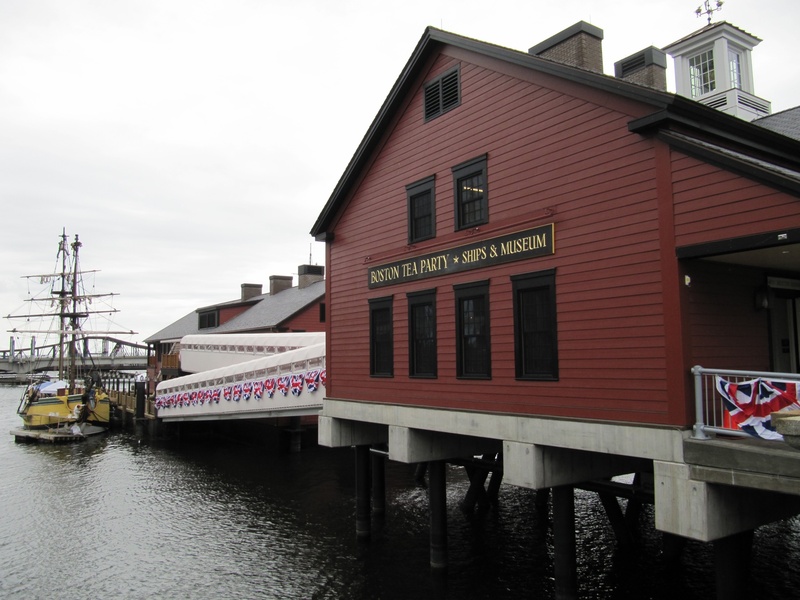 The Boston Tea Party Museum, situated at the intersection of Congress Street and Fort Point Channel in Boston, MA. It is unfortunate that my flight takes me back to the gravitational pull of the northern Great Plains tomorrow. It’s unfortunate because the Tea Party museum opens on June 26, 2012, and this is cutting it too close to when we on the northern plains purchase massive quantities of Chinese-made fireworks to celebrate explosions and things that blow up. It’s important to know your priorities. 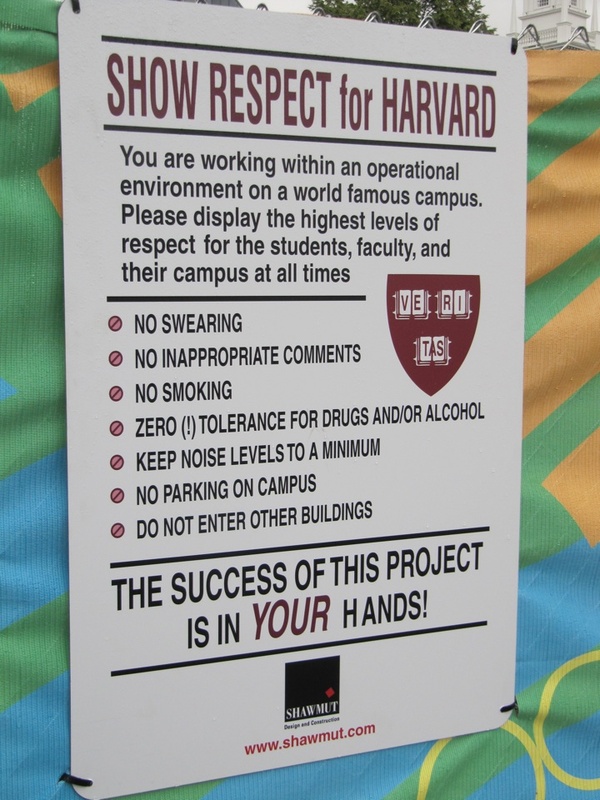 World Famous Rules at the World Famous Harvard. Photo taken on June 13, 2012 while sauntering around Harvard’s campus. It’s good they put this signage up, because it’s important to know the rules up front. They list them chronologically, although I don’t know if this is a hierarchy as to which is more bad [sic] than the other. Here they are: “No swearing, no inappropriate comments, no smoking, zero (!) tolerance for drugs and/or alcohol” — Harvard, isn’t alcohol a drug? — “keep noise levels to a minimum” — okay, I can do that — “no parking on campus” and “do not enter other buildings[?]”. More signage in and around Harvard. 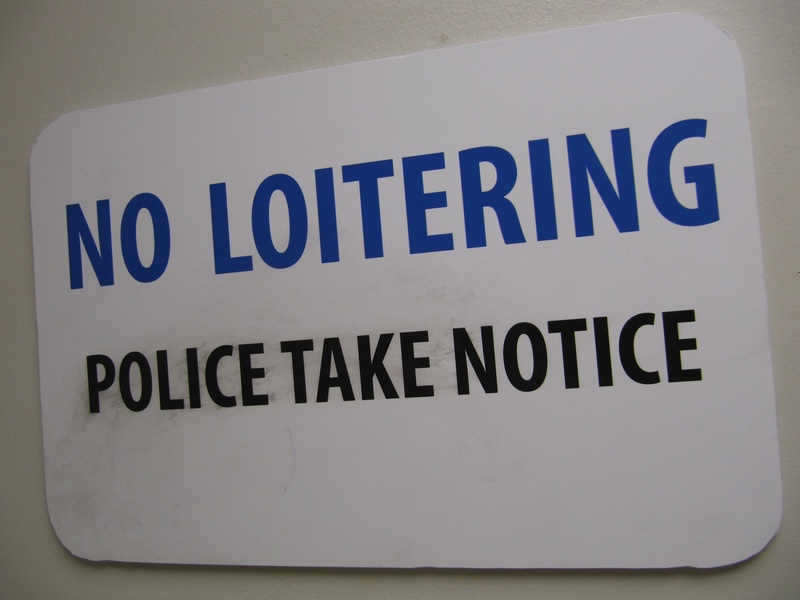 Again, these signs are good so that people know the rules. No standing around like everyone tried doing in east-Germany during the Cold War. Photo taken on June 13, 2012. It seems there is some kind of dialectic at play between the Tea Party museum and Harvard’s administrative rule makers. This entry was posted on Thursday, June 14th, 2012 at 9:59 am	and posted in Uncategorized. You can follow any responses to this entry through the RSS 2.0 feed. I lived with a pack of Bahston guys for 6 mo in the service – found myself tahking the same way ! Never understood how Cuba becomes Cuber ? So the police better keep moving . Does Hahvahd consider ALL democrats as slimey liberals ? Hm? We are running a 100 deg but the humaditty is so low swqeating is quite effective. The signs were taken down by Saturday….apparently the Village fears it’s Edge.